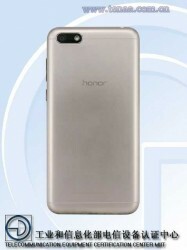 A TENAA listing just revealed an upcoming Honor smartphone with two model numbers - DUA-AL00 and DUA-TL00. 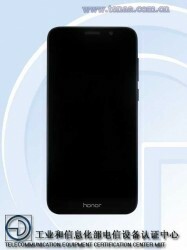 It is believed to be the Honor 7S - an upcoming entry-level device that's coming in two variants. 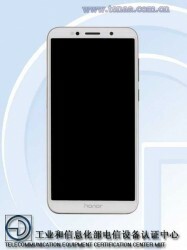 The report continues with most of the specs - 5.45-inch display with 2.5D curved glass panel featuring 720 x 1440 pixel resolution with 18:9 aspect ratio. The screen fits in a 146.5 x 70.9 x 8.3 mm body weighing 142g that carries a 5MP front-facing camera and a single sensor on the back with 13MP resolution. The latter is accompanied by an LED flash and it's capable of 1080p video recording. The device is powered by MediaTek's MT6739 SoC running 4x Cortex-A53 cores at 1.5 GHz and a PowerVR GE8100 graphics chip. The memory setup is 2GB of RAM and 16GB of internal storage with support for microSD expansion. Android 8.1 Oreo is available out of the box. 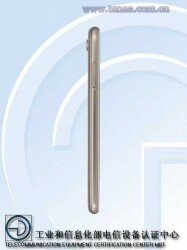 The standard accelerometer, proximity and ambient sensors are present along with Wi-Fi hotspot support and Bluetooth 4.2. A 2,920 mAh battery powers it all. 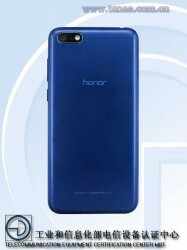 The Honor 7S will be available in Black, Blue and Gold and according to initial reports, it will be priced around $135. It doesn't feel like it the way Huawei treats it. Case in point Mate 10 Lite. Has Face Unlock while Mate 10 and Mate 10 Pro customers are still waiting for it.